Cruise Hive is very sad to report that a crew member who was working onboard the Carnival Sunshine has died. I Gede Agus Suastira was a Team Waiter from Bali, Indonesia and it is not known what kind of medical emergency occurred. 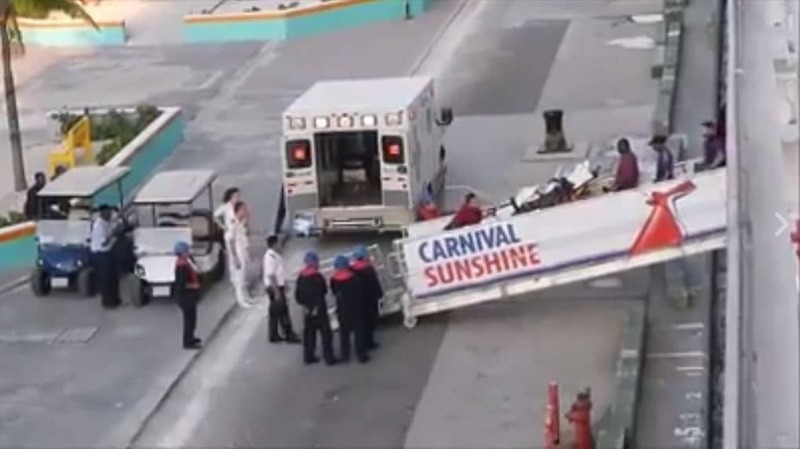 The crew member who has been working for Carnival Cruise Line since 2006 and started off as a Galley Steward was taken off the Carnival ship in Nassau, Bahamas on Friday. The vessel made an emergency call at the port and was met by an ambulance at the dock. A fellow crew member posted a video on his Facebook page. I Gede was then flown from Nassau directly to Miami, Florida at the Jackson Memorial Hospital. Sadly surrounded by his family and loved ones he died. On April 19 Carnival sent out a letter to all crew members onboard the Carnival Sunshine explaining the situation. Carnival mentioned in the letter that I Gede was well liked by everyone onboard and had a very happy and positive personality. The Miami based cruise line is also offering support to any crew members who might be affected by this. I Gede is leaving behind his wife and two daughters, Cruise Hive’s thoughts are with them during this terrible time. The ship was coming to the end of the previous cruise when I Gede needed medical attention. The 102,852 gross ton Carnival Sunshine is currently sailing a 8-night Eastern Caribbean cruise from Port Canaveral, Florida.